All our instructors are friendly, highly qualified and passionate about Pilates. Your teacher will assess your body, tailor a programme for you and teach you to perform the excercises correctly, making them as gentle or as challenging as required. 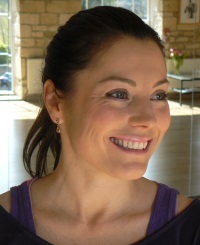 Rosie has been working as a Pilates instructor since 2004 and opened South Gloucestershire’s first Pilates studio. Her enthusiasm and passion for Pilates is infectious, inspiring hundreds of men and women to take up the exercise. Rosie is also a Chartered Physiotherapist with more than 20 years experience. She has specific expertise in back and sports injuries and has treated elite sports men and women using Pilates to speed rehabilitation and improve performance. Rosie’s physiotherapy background allows her to adopt a holistic approach in her teaching, in particular the role of Pilates in the relief of back pain. Jo trained with the world famous Lynne Robinson at Body Control Pilates in London and has recently joined the studio as an instructor. She has been hooked ever since rehabilitation from a sports injury 8 years ago which provided a challenge to create a strong, balanced and supple body again and allowing her to continue with a variety of sports she enjoys particularly running, tennis and yoga. She deems Pilates the ultimate mind, body workout because of the focus and concentration required and she is dedicated and excited to share her enthusiasm for the Pilates method and the long-term benefits. Jo believes in creating dynamic, flowing classes allowing her clients to move safely but also ensuring they remain challenged as they progress as well as having fun on the way! Louise has been teaching Pilates since 2007, after qualifying with the Body Control Pilates Association in London, of which she is a member. 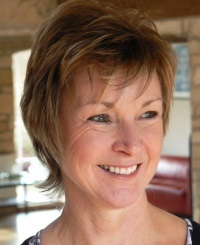 Louise first became aware of Pilates and the improvements it could bring to posture and skeletal movement, whilst practising as a Chiropractor for over 15 years and running the Stroud Chiropractic Clinic. Her passion is for improving quality of movement and posture. Lengthening and strengthening the body, by working on 'core' muscle strength and re-educating correct muscle usage. Karen discovered Pilates in 1990, when it helped her recover from a back injury after falling from a horse. At that time, only a few equipment based studios offered the method, and she was astonished by the improvement in her body awareness, posture and strength. Body Control Pilates was developed as a means of making Pilates available to a wider audience, through matwork classes, and Karen was inspired to train to teach the method to others. 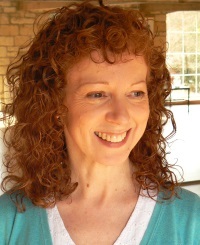 Karen qualified in 2014, and brings a unique blend of skills to her clients, combining an acute eye for detail from her previous career as a designer to the precision movements required in Pilates. She has recently trained in “Pilates for the Older Person”, which gradually increases core strength and mobility, building confidence with gentle encouragement, whilst taking into account the needs of the individual! After training with Lynne Robinson in 2001 skeena started teaching pilates at the Joy Walters physiotherapy clinic in Wimbledon working with The England Rugby club and many elite tennis players. Since then she has trained in a wide range of body intelligence disciplines. Her classes bring together the holistic and classical view to understand the uniqueness of everyones movement capacity. Her particular areas of interest are; body brain conditions, vestibular impairement, breathing, natural movement practice, pre and post natal work and rehabilitation from chronic pain and trauma. Most of all Skeena wants to inspire people to build a kind and intuitive connection with their strength and freedom of movement so that pilates can free their mind, body and spirit.